Eukhost offers professional and reliable hosting solutions on UK based servers founded in 2001. Their hosting solutions are fully automated and lead the market through the constant development of proprietary web hosting technologies. Currently, eukhost serving around 35000 customers and over 150000 domains across the world. They also assist public sector organization globally. Their infrastructure is backed up by in-house team of technical experts. Their hosting services include reseller, cloud, shared, dedicated hosting and VPS along with quality hardware from Dell, Intel, and HP. Support team is available 24/7 so that customers get uninterrupted support and services. In addition, company offers 30-day money back guarantee with majority of their products. I`ve been a happy customer since 2009, always found their live support to be professional and able to resolve most problems within 30 mins. However, after an incident relating to their node, our server became unresponsive and un-accessible for a 24 hour period. This is unacceptable in this day and age. I was not impressed how they blamed one of our sites first, then later realized it had nothing to do with it. Their RAID / Hard drive failed and after 18-20 hours of trying to determine/solve the issue, the only remedy was to move servers, for a total of 24 hours downtime. Zero liability! I can not recommend. Excellent service as always... whichever member of the team you deal with they make problems go away. Adam answered my queries and resolved my problem in a matter of seconds. A special thanks to Adam Smith because of his professional support. He is always friendly and quick resolving my issues. Great service from eUKhost, always friendly and quick to respond. Thanks to Adam today for your help and support! Adam Smith was very helpful in quickly resolving my hosting issue. Adam was great today on the support chat. He saved my sanity! I needed to upgrade my hosting package and Adam was very helpful. He answered all my questions and completed the transaction quickly. Very friendly and efficient support from Adam in billing - much appreciated! I have been using EUKHost since 2008 and have been very pleased with their service to date. My thanks to Adam for a quick response to my support question. Great service. I would like to thank you for your great service, Mr Adam solved my problems very quickly! Mr Adams always smiling :) I wish you success and million new customers in the future! Regards. just got great help from Adam in billing. thanks again! Dear eUKhost! I would like to thank you for your great service, your support team especially Adam who helped in our problems very quickly! I wish you success and million new customers in the future! Regards. So in upfront The Maximum You Pay, You Will Get Maximum Benefit. 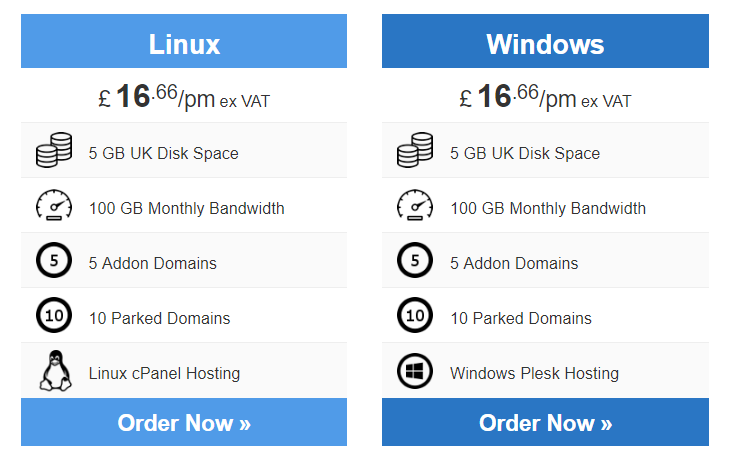 eUKhost has announced launch of its new premium Wordpress web hosting platform. With the help of Wordpress millions of websites run. It is a more secured and reliable platform. This new hosting plan is designed for easy use, providing necessary features to content professionals. The plan is offering 5 GB disk space, hosting up to 5 blogs, 25 email accounts. EUKhost Ltd. celebrated its 13th birthday in 3rd week of November. Company has launched a new free SMS billing notification system which is designed for customers’ information for each move. With the launch of SMS notifications the widely featured server monitoring service enable to obtain most important details with SMS alerts regarding this package. In the past 13 years company has developed products of 5 categories and dealt with all sized busineses. eUKhost Ltd., a primary web hosting provider in the UK, has made announcement for the launch of new range of dedicated servers, and an all new SMS notifications and server monitoring service. As part of the eUKhost.com September product refresh, all dedicated servers now come with free Server Monitoring and up to 128 GB RAM and Dual Hexa core processors to deliver incredible performance – suitable for the most demanding web applications and requirements. eUKhost.com innovative Server Monitoring platform not only monitors server hardware, but also the network devices that customer server relies on. It constantly monitors partition usage, server uptime, RAID health, hardware and disk I/O performance and much more.